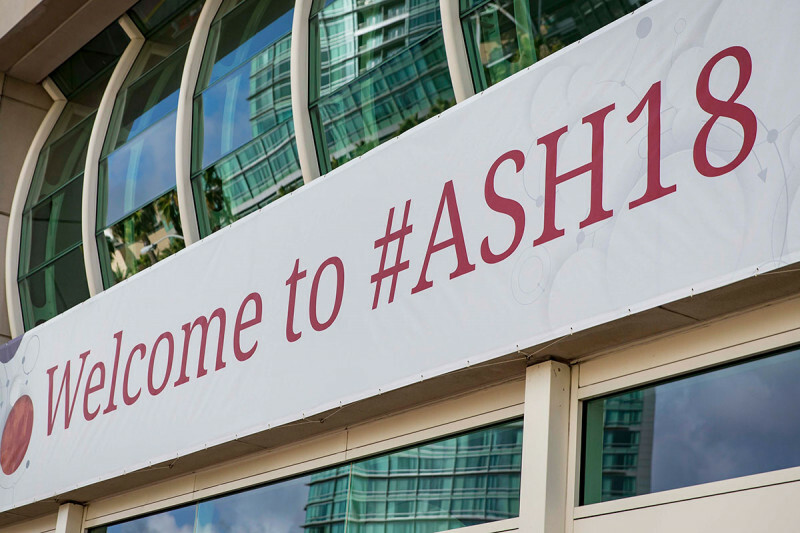 The American Society of Hematology (ASH) annual meeting is the world’s premier event devoted to the study of blood cancers and disorders. More than 25,000 people are attending the 2018 assembly, held December 1 through 4 in San Diego. Memorial Sloan Kettering researchers at the meeting have reported important progress in understanding and treating several blood cancers. Here are a few of the advances they’ve presented. Chimeric antigen receptor (CAR) therapy has fundamentally changed the treatment of people with blood cancers like leukemia and lymphoma. An increasing number of people with previously incurable forms of these diseases have seen their cancers vanish. Unfortunately, not all people respond to this therapy, and those who do sometimes experience serious side effects. 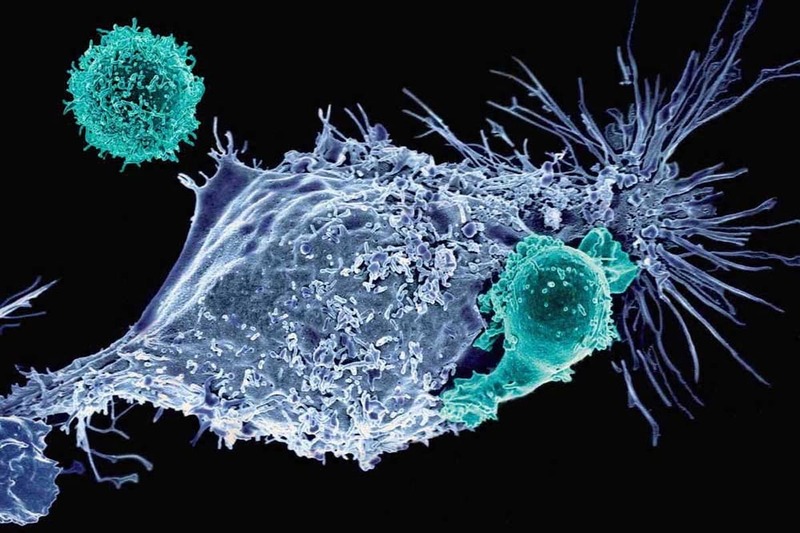 Recent studies have found a relationship between a person’s gut microbiota and their response to another type of immunotherapy called checkpoint blockade. (The microbiota is the collection of bacteria, viruses, and other microorganisms living on and in the body.) To find out if the same holds for CAR therapy, an MSK team led by medical oncologists Melody Smith and Marcel van den Brink analyzed the gut microbiota of 24 adults before they received CAR therapy. They looked for correlations between the number of certain gut bugs and treatment outcomes. The team considered both the effect on the cancer and the side effects from the treatment. In people who achieved a complete response to CAR therapy, they found more of several families of bacteria, including Oscillospiraceae, Ruminococcacaeae, and Lachnospiraceae. In patients who did not achieve a complete response, they found more Peptostreptococcaceae. People who experienced side effects, either neurotoxicity or cytokine release syndrome (a surge in immune activity that can cause dangerous fevers), had more Lachnospiraceae and Lactobacillaceae. Those who did not experience these toxicities had more Peptostreptococcaceae. The study investigators say that these results suggest a role for the gut microbiota in shaping a person’s response to CAR T cells. They are exploring the reasons for these correlations in ongoing studies. The hope is to one day tweak a person’s gut microbiota to ensure better outcomes. Bloodhounds are only as good as the scent they’re given to track. Something similar holds for CAR T cells: They work best when given a good target to seek. To date, most CARs in use are built to recognize a protein called CD19 that’s found on certain leukemias and lymphomas. The search is on for other targets that will allow the benefits of CAR therapy to be extended to people with other types of cancer. One promising target is BCMA, a protein found in abundance on multiple myeloma cells. Several different academic institutions and pharmaceutical companies are currently running clinical trials testing BCMA-directed CAR T cells in people with multiple myeloma. 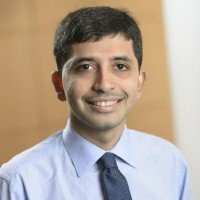 MSK medical oncologist Sham Mailankody presented the latest results from a phase I/II trial being run jointly by nine academic medical centers and sponsored by Juno Therapeutics/Celgene. The study’s aim was to determine if the treatment, called JCARH125, was safe and to establish an optimal dose of cells to give. Three doses of cells were tested, and the toxicities were generally manageable. Common side effects of the BCMA-targeted CARs included cytokine release syndrome and neurological problems. These are similar to side effects of CD19 CAR T cell therapy and were mostly low-grade. There was one death from sepsis on the study, a patient who was treated at the highest dose of cells. According to Dr. Mailankody, 36 of the 44 patients experienced a decrease in the size of their tumors and 12 saw their tumors disappear entirely. The study investigators say the results warrant further clinical development of this CAR therapy. “These early results are particularly notable for deep and durable responses across all dose levels, including the lowest dose,” Dr. Mailankody said. Research from Eric Smith and Renier Brentjens, who collaborate as part of the Cellular Therapeutics Center at MSK, has led to the development of three different BCMA CARs (including JCARH125) that are currently being tested in clinical trials. The results of all three are being presented at this year’s ASH meeting. Dr. Mailankody has received research funding from Takeda, Janssen, and Juno Therapeutics. For two decades, there has been little change in treatment for people with newly diagnosed peripheral T cell lymphoma (PTCL). This rare non-Hodgkin lymphoma grows quickly. The standard therapy is a chemotherapy combination known as CHOP. An intensified variation on that regimen may also be used, but it has not produced any clear-cut improvement in long-term effectiveness. Now a phase III clinical trial of 452 patients is showing that adding a targeted therapy is more effective in people with certain PTCL subtypes. The study is testing the drug brentuximab vedotin (Adcetris®) along with chemotherapy. 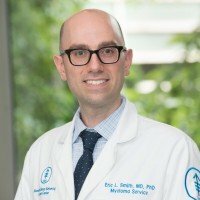 MSK medical oncologist Steven Horwitz presented findings showing that people receiving brentuximab vedotin plus chemotherapy have more than doubled progression-free survival. That improvement in how long a person lives without the cancer growing also led to an increase in overall survival. With this new combination, progression-free survival was a median of 48 months. In participants receiving CHOP, it was 21 months. Brentuximab vedotin is a monoclonal antibody that targets a protein, CD30, found on some cancer cells. The drug is already approved for treating Hodgkin lymphoma. The clinical trial tested its effectiveness in people whose PTCL cells expressed high levels of CD30. Results from the trial were so important that the US Food and Drug Administration approved this new combination approach on November 16. It is available to newly diagnosed adults with the PTCL subtype anaplastic large cell lymphoma, or PTCL that expresses CD30. The side effects of using brentuximab vedotin include nerve damage, nausea, and diarrhea, though they were not too severe for most people. This is mostly similar to the side effects of CHOP and other chemotherapy regimens. “For people with anaplastic large cell lymphoma, there’s finally a new treatment option we can offer from the start, giving us a much better chance of eliminating the disease,” Dr. Horwitz says. 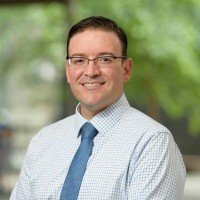 Dr. Horwitz receives consulting fees and research funding from Seattle Genetics and Takeda Oncology, which developed and own brentuximab vedotin. In 1989, MSK scientists uncovered a connection between two seemingly unrelated cancers: a rare type of testicular cancer found primarily in young men called primary mediastinal germ cell tumor (PMGCT) and an especially aggressive form of acute myeloid leukemia (AML). They found that the two cancers shared a genetic change, called isochromosome 12p. Nearly 30 years later, an MSK team led by medical oncologist Justin Taylor is reporting new findings about this relationship. Next-generation sequencing techniques, including MSK-IMPACTTM and whole-exome sequencing, aided in the discovery. Leukemia sometimes occurs in people who have been treated for another cancer previously. For them, the chemotherapy and radiation therapy cause genetic damage in unrelated cells, which leads to the secondary leukemia. In the case of PMGCT and AML, the researchers discovered that the cells from the germ cell tumor continue to evolve and transform into leukemia. Based on their initial findings, the investigators have received a grant from Cycle for Survival, MSK’s team indoor-cycling event that funds research into rare cancers, to continue studying the molecular changes that enable these tumors to transform. They hope that the research will lead to new approaches to treat these cancers, which occur mostly in men in their 20s. This type of AML is always fatal. 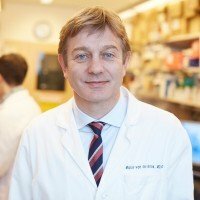 “The unique biology and the collaboration involving so many MSK departments, as well as the need to find better treatments for these patients, make this project both interesting and important,” Dr. Taylor says. 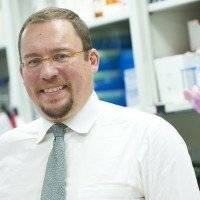 Ola Landgren, Chief of MSK’s Myeloma Service, reported promising results from a phase II trial testing a drug in people with smoldering multiple myeloma (SMM). This precursor condition often progresses to multiple myeloma. A person can have SMM without any symptoms for several years before developing multiple myeloma. Researchers have been exploring whether treating certain people with SMM can slow or prevent this progression and how long treatment should last. The study tested daratumumab (Darzalex®), a monoclonal antibody, in people who have an intermediate to high risk of developing multiple myeloma. The patients were randomly split into three groups. Each group received daratumumab for a different length of time. A phase III trial is now in development. “If we can replicate these results, daratumumab could become the first FDA-approved drug for SMM,” he says. Dr. Landgren has received research funding from and serves as a consultant for Janssen Pharmaceuticals, which manufactures daratumumab. Daratumumab is safe, with very little toxicity, so there is little apparent downside to giving it for longer periods. Graduate student Melissa Docampo used mouse models to study the role of butyrate, a fatty acid secreted by bacteria in the gut, in GVHD. 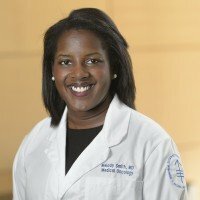 Her findings help explain how the presence of certain bacteria after a transplant can affect the activation of donor immune cells that cause GVHD. 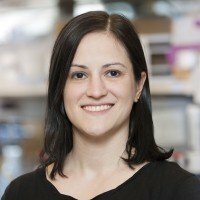 A study led by medical oncology fellow Niloufer Khan found that a loss of microbial diversity in people having BMTs using their own blood stem cells (autologous transplants) caused many of the same problems that are seen in people having transplants with donor cells (allogeneic transplants). These side effects include inflammation of the digestive tract and diarrhea. 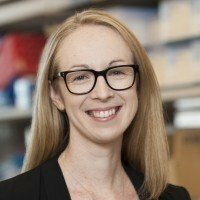 Visiting investigator Kate Markey reported that having certain strains of microbes in the intestines after a transplant was associated with chronic GVHD. This condition can occur several months after transplant and is long-lasting. It is the leading cause of death in people who survive more than two years after a BMT. It largely affects the skin and is similar to certain autoimmune diseases. Visiting investigator Christoph Stein-Thoeringer found that a high level of the bacterial strain Enterococcus in the intestines after a transplant can trigger GVHD. The work was based on observations of people as well as research in mouse models.